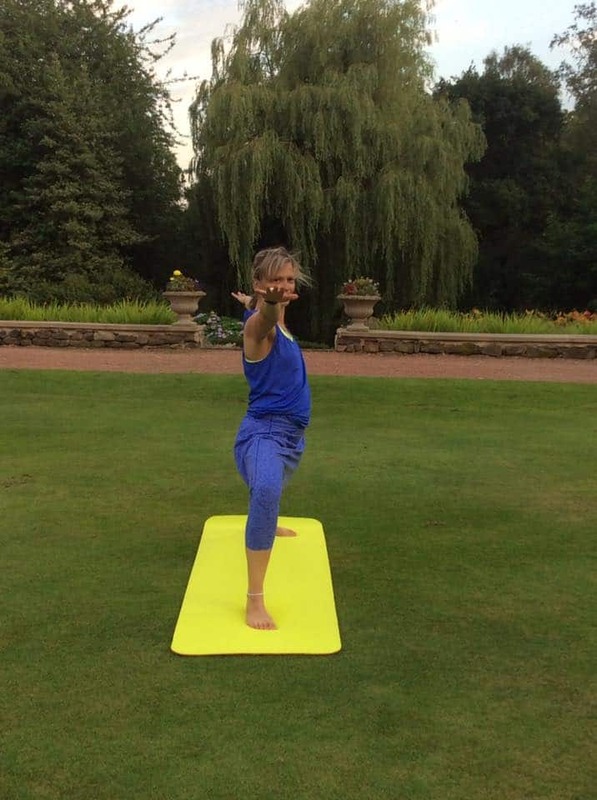 British Summer Time – time to take your yoga outdoors, there’s nothing better. It’s a time when we can all enjoy getting out more with our family and friends. Whether we’re having fabulous family picnics or afternoon garden parties with friends, its a wonderful time of year for expanding ourselves and becoming one with this gorgeous planet. I particularly love the Summer time because I can finally practice Yoga outdoors under the warmth of the Summer sun. Sometimes, if it’s warm enough, under the coolness of the moon. Those of you who are beginners may not know the origins of Hatha Yoga. The word Hatha is translated as ha meaning “sun” and tha meaning “moon.” In classes, it relates to the balance of masculine aspects, such as, hot, active, sun and feminine aspects, such as, receptive, cool, moon, within all of us. It is a way in which we can unite opposites and create balance. WHY SHOULD YOU TAKE YOUR YOGA OUTDOORS? All this revitalised energy and warmth is created by the great outdoors. I like to use asanas that are designed to stretch me that little further and also open my mind and body to all the positive ions travelling through me. A nice sun salutation to warm me up and get me going. Add in some combinations of Adho Mukha Svanasana (Downward Dog), Trikonasana (Triangle Pose) for stretching and of course Vriksasana (Tree Pose) for balance. These are just a few of the Yoga Poses that I really like. Depending on how you feel, you can do as much or as little as your body tells you, even if it’s just lying in Shavasana (corpse pose) and looking far up into the enormous sky above you. The beauty about Yoga Outdoors is that you’re free to make it your own. You’re not constricted by time nor structure. It’s just you and mother nature. So hopefully, by now you’re feeling enthusiastic about taking your yoga outdoors, but where should you go. Personally I love to be on the beach as not only do you get the energy from the sun but you can draw on the power of the sea too. If you can’t get to the beach then the local park or walking trails can give you the open space that you need, as well as some wonderfully inspiring views. When should you take your yoga outdoors? It depends very much on how you are feeling and how you want to feel as a result. I find the best time to go to feel energised and revitalised is first thing in the morning. Yoga outdoors with the sunrise is very special and extremely stimulating. In contrast if you need to de-stress and relax then take your yoga outdoors in the evening when the sun is setting. I don’t think I need to tell you how calming that can be. The good thing about taking your yoga outdoors is that all you need is your mat and some water. You can set yourself down wherever you want to be. If you add to that your smart phone or Ipad then you can take me with you too. You can practice one of my new FREE Online Classes on YouTube so you don’t even have to think about the asanas you want to do! However you decide to take your yoga outdoors I sincerely hope you make the most of the wonderful summer weather and give it a try soon.